Central Illinois is filled with a multitude of attractions: from adventures in nature and a casual afternoon, to a historical tour of the sights and a night on the town. With so many possibilities, it can be difficult to choose! Listed below are some of the great ways to explore Bloomington/Normal and the surrounding cities. Check for current events and festivals happening throughout the year. Having trouble deciding? Make a list of your favorites, and Vrooman Mansion will await your return to continue the adventure! 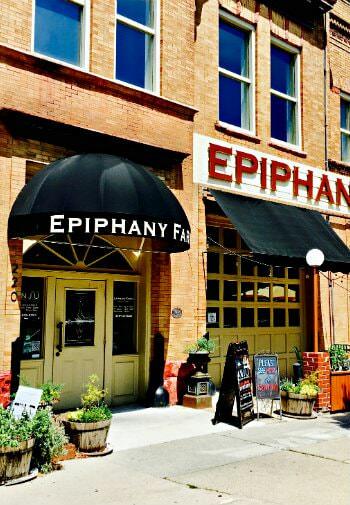 Epiphany Farms Restaurant – Bloomington: Bloomington/Normal’s only farm-to-fork restaurant, located in the historic fire station built in 1902. The architecture of the building has been largely maintained: engine stalls are now the main dining room, the horses used to be kept in what is now the kitchen, and the firemen’s quarters were remodeled into banquet rooms. Epiphany Farms’ ‘chefarmers’ grow the organic ingredients for the restaurants at their farm 10 miles outside town, and create seasonal dishes unlike any other. Open Tuesday through Saturday. 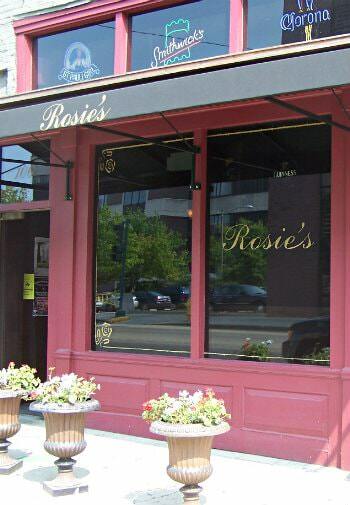 Rosie’s Pub: Rosie’s – also located in a restored building in downtown Bloomington – used to be just a pub. However, along with the addition of more dining space, a fine dining menu was also This diverse menu has more than the usual ‘steak and potatoes’ fare, and always pleases. Baxters American Grille: Located across the street from the airport, Baxter’s Chop House & Wine Bar offers American-classic food. The wide variety on their menu includes casual choices such as sandwiches and pizzas to more upscale steaks and seafood. They often have live music and are open all week. Biaggi’s Ristorante Italiano: Biaggi’s is a casual restaurant that offers a large menu featuring a full selection of house-made and imported pasta, soups & salads, pizza, seafood, chicken, veal, steaks, and desserts. Large portions of affordably priced dishes are made with the freshest ingredients available. Jim’s Steak House: Open since 1960, Jim’s Steak House is a local favorite. This fine dining restaurant offers the best dry-aged beef in town. Not only are they known for the finest steaks and prime rib, but they also offer quality seafood, pork, lamb, and chicken. 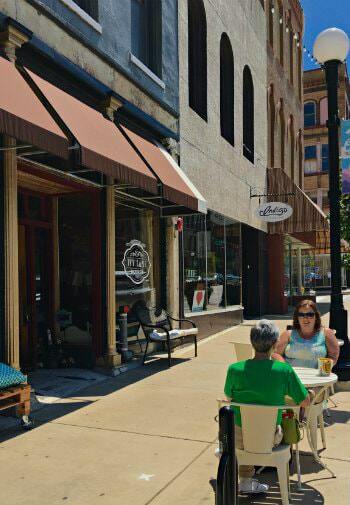 Kelly’s Bakery & Café: If you are shopping downtown, Kelly’s is a great place for lunch or a mid-morning snack. They offer a variety of sandwiches, soups, and Kelly is also famous for her cookies and giant cinnamon rolls. Yum! Destihl: Located near The Shoppes at College Hills, Destihl is a microbrewery and They feature bold flavors with an inventive approach to American-classic pub fare that pairs well with their wide array of beers. Destihl’s casual atmosphere offers a great place to enjoy anything from burgers, sandwiches, salads, and stone-oven pizzas, to their creative signature dishes and twists on comfort foods. Anju Above: Located above Epiphany Farms and part of their Hospitality Group of restaurants, Anju Above is an eclectic Asian Fusion They offer an interesting variety of small plates from sushi, steam buns & dumplings, to rustic pizza and pretzel bites. Open all week. Bakery and Pickle: Located on historic Main Street, Bakery and Pickle is the newest addition to Epiphany Farms’ Hopsitality Group. Open Wednesday through Sunday late afternoon and evenings, you can choose ‘The Experience’ or reserve after 8pm and enjoy a la carte dining and libations. Live music on an upright piano from a talented local pianist adds to the ambiance. Lucca Grill: Established in 1936, Lucca’s was started by the Baldini brothers. They offered the first crisp thin crust pizza in Central Illinois. The first floor still has the original antique mahogany bar, ornate tin ceiling, and many interesting newspaper articles from the past. The A La Baldini pizza is our favorite! Medici: Unique in its décor, Medici has a 30-foot mulberry tree as their centerpiece in the restaurant. On summer nights, you can enjoy their second-floor bar with rooftop patio. You will notice Hans’ love of forestry throughout the space. Their menu is eclectic, from pizzas to spätzles, from Reubens to roulades. 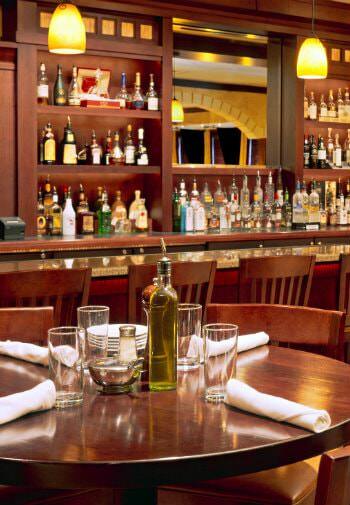 Medici believes in the importance of details in their food and décor. Reality Bites: Reality Bites is a locally owned tapas restaurant and It boasts a fun and sophisticated atmosphere and offers a large variety of choices on their menu. Located in the heart of downtown Bloomington and open Tuesday through Saturday. Satio Wine Bar: Satio is located in downtown Bloomington and is open Tuesday through Saturday. This is a great place to stop for a couple of glasses of wine and have their “noshables” before or after dinner. Or, if you are out and about for the Farmer’s Market on Saturday morning, stop in for a Bloody Mary. Stave Wine Bar & Market: Another great location to stop in for their diverse beer on tap and wine selections, located in uptown Enjoy the lovely atmosphere and their knowledgeable and friendly staff. The owners and staff are always there to help suggest a pairing of one of their great seasonal wines with their unique cheeses, meats, or truffles. Schooners: Looking for some true bar food? This local bar is only two blocks from our location. Open since 1983, this is a local Bloomington favorite where you can enjoy their beer garden during the summer season. They are famous for their King Pork Tenderloin Sandwich and Buffalo wings. Pub II: Established in 1974, Pub II is located in uptown If you want to watch a sporting event, this is one place you should consider. Pub II is a large bar with 19 TVs and a beer garden. The menu consists of classic burgers and sandwiches at very reasonable prices. Gill Street Sports Bar & Grill: This warm and inviting bar and restaurant features two large outdoor patios and is a little off the beaten path in Bloomington. Their large menu ranges from a variety of appetizers, salads, pizzas, burgers, sandwiches, quesadillas, and wraps. 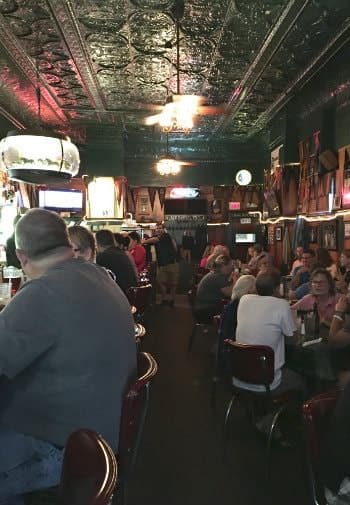 Elroy’s: Looking for a place to watch the game, grab a bite, and enjoy a cold beverage? Elroy’s in open 7 days a week in downtown Bloomington. Chose one of nine varieties of great burgers or one of the many other choices from their menu. Carl’s Ice Cream: Carl’s has two locations to serve you, one in Bloomington and one in Normal. This local favorite serves many varieties of hard ice cream, as well as soft-serve ice cream and frozen yogurt. Carl’s also has sandwiches, burgers, and hot dogs on the menu. Gene’s Dairy Delight: A locally owned business within one mile of our location, Gene’s offers wonderful soft-serve custard. Enjoy a dipped cone, a specialty item like the Wonder Bar, one of their unique flavors such as the Lemon, or go for the gusto with a banana split! The Chocolatier: The Chocolatier is a local candy shop approximately two miles from us. Not only do they have wonderful chocolate treats (our favorite is the Cashew Cow!) that can be purchased either per item or in bulk, but they also have a wide variety of products made on-site. They carry chocolate-covered strawberries, Italian ice, and a great popcorn line. Grove Street Bakery: Have a sweet tooth? Grove Street Bakery is our neighborhood bakery just two blocks from the Mansion. So, if you have a craving, I hear their sugar cookies are the best! The Coffee Hound: The Coffee Hound is locally owned and operated, and has two locations, one in Bloomington and one in Normal. So, if you are out perusing the town and need a pick-me-up, don’t forget to support the small local businesses. They offer the finest roasted and brewed coffees, as well as made-from-scratch baked goods and exceptional customer service. Country Thyme Tea Room & Catering: Country Thyme is located about one hour east of us, off Route 9. 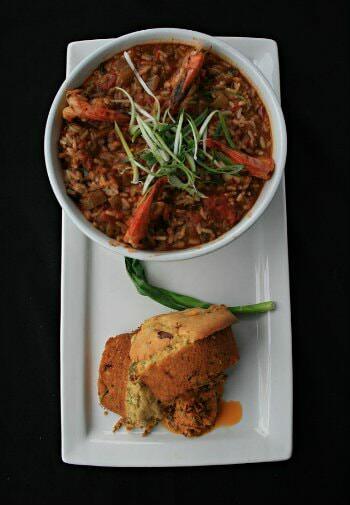 Bonnie and her staff love to make their entrees and desserts from scratch using the freshest ingredients. They are open for lunch Tuesday through Saturday and highly suggest making reservations in advance. La Tea Da Tea Room & Gift Shop: This tea room and gift shop is located 30 minutes south of us on Route 51. They have a daily flavor of tea, soups, and desserts with their standard lunch menu. You can enjoy a great lunch and then spend some time in their wonderful gift shop. You’ll find a lovely variety of tea-related items and more. The Tea Room at the Depot: The Tea Room at the Depot is located approximately 35 minutes west of us near Peoria off Route 9. Their seasonal menu includes salads, sandwiches, paninis, soup, and dessert. These delicious options are sure to please everyone in your group. Plan to spend some time afterwards to shop in the surrounding boutiques. Reservations requested. Community Players Theatre: This amateur theatre group is one of the oldest community theatres completely staffed by volunteers. Their first production was in 1923. Attend one or more of their six productions per year. Heartland Theatre Company: Heartland Theatre Company is a non-profit professional quality intimate theatre founded over 30 years ago, that performs five dynamic and provocative plays from June through Heartland aims to challenge, provoke, and entertain its patrons, calling attention to one common thread – the experience of being human. Illinois Shakespeare Festival: Enjoy Shakespeare under the stars while experiencing the intimate atmosphere of Ewing Manor. Pack a picnic basket with a bottle of wine and some cheeses to relish while viewing the surrounding gardens. The open-air theatre design holds more than 400 seats with descending concrete tiers in Roman theatre tradition. Illinois Wesleyan University School of Theatre Arts: Four main stage plays are performed annually, selected from a playbill ranging from Shakespeare to musicals. 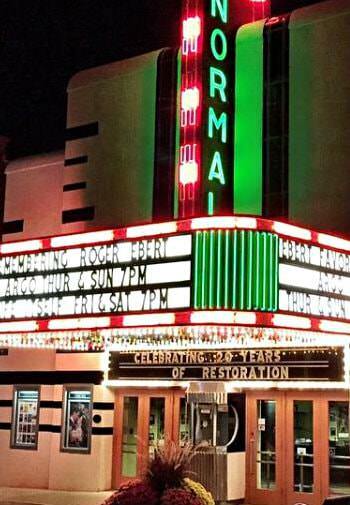 Normal Theater: Located in uptown Normal, the Normal Theater opened in 1937 and was the first theater built in Bloomington/Normal specifically for sound films. It is currently on the National Register of Historic Sites. The strong art-deco/modern design was then very avant-garde for a small Illinois The Normal Theater has been completely restored to its original condition to show mostly independent and foreign films. Conklin’s Barn II Dinner Theater: Conklin’s Barn II Dinner Theater has been the area’s home for hospitality since 1975, featuring a bountiful buffet and the funniest live theatre in central Illinois! Bloomington Center for the Performing Arts: BCPA is the centerpiece of the city’s new Cultural District. The historic theater recently underwent a $15 million renovation featuring a 1200-seat Come and be entertained with a variety of shows from music, theatre, and comedy. Braden Auditorium: Braden Auditorium is located at the ISU Bone Student Center and is a landmark resource to the community. It is a well-known theatre, able to house over 3400 people. Castle Theatre: This theatre was built in 1916 with 1,000 seats. Walking into the performing area, we remember the days when no expense was spared in building a theater. Rich in architectural details such as gilded columns, ornate friezes, and art deco-inspired chandeliers, the Castle is the perfect link between Bloomington’s past, present, and future. This combination has turned the Castle into the most exciting live music venue between St Louis, Chicago, and Indianapolis. The Castle now features a variety of music types from upcoming and established touring artists, local and national. Illinois State University School of Music: Bringing the finest music to Central Illinois, ISU boasts performances by world-renowned faculty and guest artists. Illinois Symphony Orchestra: Well-loved and highly respected, the Illinois Symphony Orchestra is the region’s premier professional orchestra. They perform five Masterworks concerts, two Pop concerts, and three Chamber Orchestra concerts annually. Illinois Wesleyan University School of Music: Numerous concerts and recitals are performed each year by four choral ensembles and five instrumental ensembles, as well as talented faculty, students, and guest artists. Most concerts are free with general seating. Grossinger Motors Arena: This arena hosts a variety of sporting events, concerts, ice shows, family shows, conferences, and much more. It is also home to the Bloomington Extreme of the United Indoor Football League and the Prairie Thunder of the United Hockey League. If you’re looking for art galleries, here are a few of our favorites. Eaton Studio Gallery: Central Illinois artist Herb Eaton’s studio space and gallery. Regularly scheduled art salons, gallery events, and occasional live music performances. Jan Brandt Gallery: This local gallery opened June 23, 2012. It is located on the first floor of the old Coca-Cola bottling plant and hosts rotating artist’s exhibits, representing selected artists and showcasing the owner’s personal work. 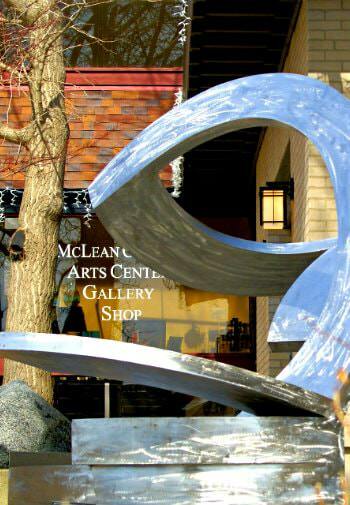 McLean County Arts Center: Comprised of two art galleries, three classrooms, and a gift gallery, this is one of the oldest arts organizations in the Midwest. University Galleries: Located at Illinois State University. Downtown Bloomington Artists’ Galleries: Downtown Bloomington has a reputation as a vibrant arts community. 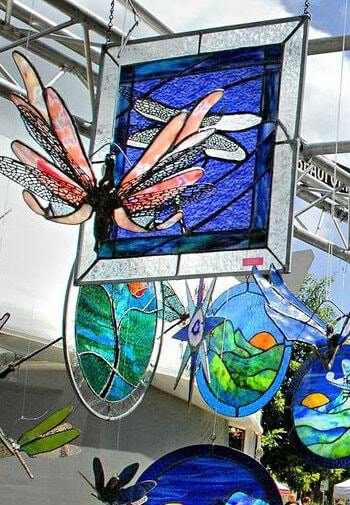 Within a half-mile radius of Museum Square and the city’s center, you’ll find unparalleled diversity – from fine studio crafts, to glass, photography, folk art and contemporary painting, metalwork, textiles, jewelry and more – by local, regional, national, and international artists. Third Sunday Market: This is an indoor and outdoor market at the Interstate Center, open 8am–4pm on the third Sunday of each month, May through October. Antiques and handcrafts. You can definitely spend several hours here, so bring your comfortable shoes! Downtown Bloomington Farmer’s Market: Open 7:30am–11:30am on Saturdays, May through October. Locally grown produce, arts and crafts, live music, baked goods, and kids’ activities – all held around the McLean County History Museum. 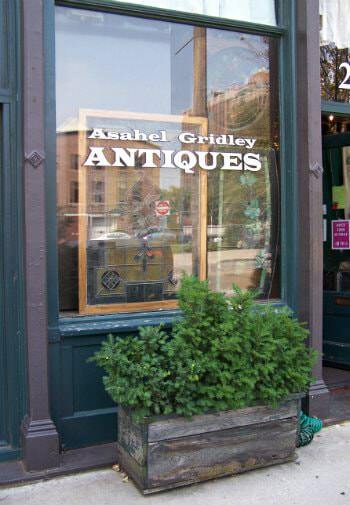 Gridley Antiques: The premier antique shop in the area. The store has been open since 1993 and has continued to enlarge. It now consists of three storefronts with 16 rooms. Jim and Andy are very knowledgeable and great to work with. Only open on Fridays and Saturdays throughout the year and on third Sundays May through October. Make sure to schedule a stop at this store! Pars Rug Warehouse: Locally owned and operated by Hossein Nateghpour since 1994. If you are in the market for a rug or just interested in more information on this ancient art, stop in for a visit. Hossein is a wonderful educator and would love to help you find the perfect rug to fit your home, taste, and budget. Open Tuesday through Saturday. Old House Society Salvage Warehouse: The warehouse offers education with their own library and a list of experienced contractors and suppliers who are willing to help you with your old house project. They also have been able to go into homes that are up for demolition to take out anything that can be salvaged and reused. Therefore, the warehouse has a collection of unique, hard-to-find restoration items from wood flooring to old hardware. Downtown Bloomington Shops: The Downtown Bloomington Association has a list of all the stores and events in the downtown Spend a relaxing day browsing through the shops. The Garlic Press: In business for 35 years, this store has grown multiple times, and has a wide variety of products. This one-of-a-kind store has distinctive high quality products, from local handmade cards to FLAX clothing to fine chocolates and coffee. Apricot Lane Boutique: As a mother/daughter team, Renee and Jena have created a store with a fun atmosphere filled with a mix of styles and designs that moms and daughters will love to wear. They pride themselves on their top-notch customer service. So, don’t hesitate to ask for some suggestions for a whole new look. Babbitt’s Books: This is a must-see landmark of a used bookstore where you will find a huge variety of treasures. The prices are reasonable and the staff is very friendly and knowledgeable. They carry not only books, but also art prints, comic books, and games. And, if you can’t find what you’re looking for, they will be happy to search and find it for you. Uptown Normal Shops: This site has a listing of all stores and events happening in the uptown Normal area. Enjoy your day perusing the streets and shops. There are many museums and historical sites to visit while you are here. David Davis Mansion: A visit to Judge David Davis’ estate offers a glimpse into the lives of the wealthy and powerful of its day. Davis helped Abraham Lincoln win the 1860 Presidential nomination, and, in turn, Lincoln appointed Davis to the United States Supreme Court. McLean County Museum of History: From Kickapoo Indians to early European settlers, from the small town where Lincoln practiced law to today’s thriving community, the stories of this uniquely Midwestern place are told at the McLean County Museum of History. The museum traces its roots back to 1892, the year the McLean County Historic Society was founded. Prairie Aviation Museum: At the Prairie Aviation Museum, see all the displays, revolving aviation exhibits and memorabilia, a mini-theatre, world famous aircraft models, and more. Stevenson Graves at Evergreen Memorial Cemetery: The Stevenson family has brought honor to McLean County for three generations. Buried here are Adlai I, who was Vice President to Grover Cleveland, and Adlai II, who was Governor of Illinois, Ambassador to the United Nations, and twice Democratic Candidate for the United States Presidency. Also buried here are Adlai I’s wife Letitia (Green) Stevenson, who was Second National President-General of the Daughters of the American Revolution from 1893-1898, and her sister, Julia (Green) Scott, the Seventh National President-General of the D.A.R. from 1909-1913. Abraham Lincoln Presidential Library and Museum: Combining scholarship and showmanship, the Abraham Lincoln Presidential Library and Museum in downtown Springfield, IL communicates the amazing life and times of Abraham Lincoln in unforgettable ways. There are many opportunities for recreation in the area. Constitution Trail: The Constitution Trail is a multi-use trail with over 14 miles of hard surface. The trail is perfect for walking, jogging, rollerblading, biking, cross-country skiing, or strolling. The closest entrance to us is just a couple of blocks northeast on Grove Street. Evergreen Lake: The glistening 900-acre Evergreen Lake provides a scenic backdrop for some of the best fishing and passive water sports in Illinois. Canoes, paddleboats, sailboats, rowboats, and five horse outboard motors are available here for an enjoyable afternoon alone or with family and friends. State record hybrid-walleye, big Muskie, and bass make this a favorite for both the casual and tournament fishermen. 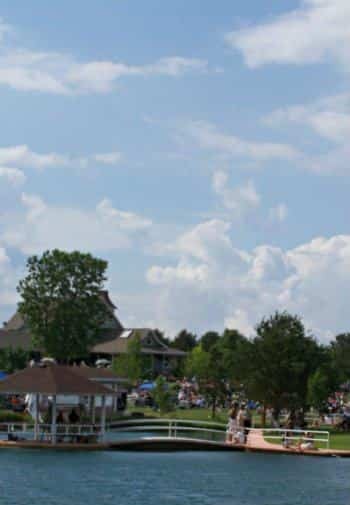 Lake Bloomington: Located 15 miles north of Bloomington, you will find this 635-acre The lake is a mixture of residential houses, parks, camps, and nature preserves, making it a wonderful place to relax and enjoy fishing and boating. Moraine View State Park: Moraine View State Park features campsites and a boat launch with docks. Miller Park Zoo: Reindeer, monkeys, and bears…oh my! 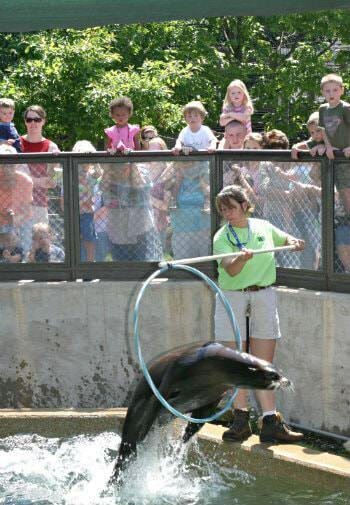 Come visit Miller Park Zoo’s beautifully landscaped grounds and see a wide variety of animals from around the world. Wellgreen Farm Adventures on Horseback: You can sign up for a lesson or go out on the trails with a guide and other horseback riders. Sugar Grove Nature Center: Sugar Grove Nature Center is one of Central Illinois’ hidden natural treasures. 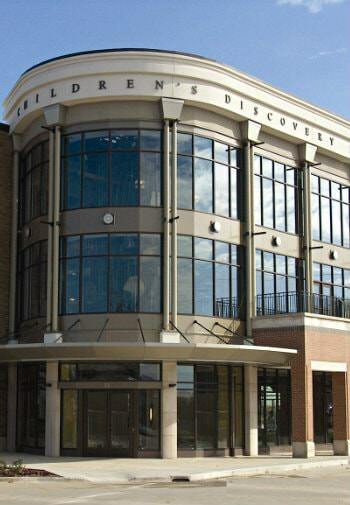 It contains interpretive exhibits, a bird sanctuary, a children’s discovery den, and live animals. Over five miles of well-maintained trails take visitors through prairie, forest, and riverine habitats. A trail from the nature center leads to the Funks Grove Church, the Funks Grove Cemetery, and the Chapel of Templed Trees. Sudden Impact Paintball: Paintball fields with concessions open Saturday and Sunday only, near Funks Grove. Anderson Aquatic Center & Fairview Family Aquatic Centers: The town of Normal has two aquatic centers. Both include multiple pools and water slides with family changing areas and concessions. Illinois Valley Parachute Club: Learn to skydive! All visitors are welcome, but must have a valid, current USPA license and reserve pack to jump. The Illinois Valley Parachute Club has been teaching people how to skydive for 40 years. Hunter Oaks Equestrian Center: Interested in horseback riding? Instructions are given in dressage, cross-country, and stadium jumping, as well as stabling for English riding enthusiasts. Funks Grove Pure Maple Sirup: Guided tours offered during February and March show sirup-making by the ‘boiling-down’ process. Shop in the gift store stocked with Funks’ brand sirup, as well as Route 66 memorabilia. Ropp Jersey Cheese: The Ropp Cheese processing facility in North Normal is owned and operated by a family of sixth-generation McLean County dairy farmers. The facility produces cheese curds in various forms, as well as artisan cheddars, colbys, and other cheeses. Upper Limits: Upper Limits indoor rock climbing gym has more than 20,000 square feet of climbing, including routes up to 110 feet tall, a wave-wall, a bi-level cave, and a unique outdoor bouldering area. This is one of the largest and tallest gyms in the world! Upper Limits offers introductory and advanced classes to accommodate all skill levels and ages. Pepsi Ice Center: The Pepsi Ice Center is a public indoor ice-skating facility, featuring a full-size sheet of ice. It sits adjacent to the Grossinger Motors Arena. The facility offers ice-skating lessons, skate rentals, and a concession stand. If you’re looking for wineries, here are a few of our favorites. Mackinaw Valley Vineyards: Experience a bit of the Napa Valley right here in Central Illinois. Mackinaw Valley’s oldest commercial vineyard now offers a spacious tasting room and gift shop. Come out to the winery and sample for yourself while you enjoy the panoramic view of the valley and majestic vineyards. Sunset Lake Vineyards & Winery: Our tasting room boasts a comfortable, warm, and inviting atmosphere perfect for gatherings with family and friends. The wrap-around porch offers lovely views of our vineyards and the surrounding countryside. We invite you to spend an afternoon or evening on the porch or beside the pond watching the birds in the sky, or gazing at the breathtaking sunsets that only the Heartland can offer, while sipping on one of our many tasty wines. The Den at Fox Creek is a 4-star, Arnold Palmer Signature Designed Course that opened in 1997. The course includes bent grass tees, greens, and fairway. Amenities include GPS-equipped carts, club rentals, a pro shop, and a snack bar. Located in South Bloomington, Highland Park Golf Course has numerous challenges including creeks, three lakes, well-placed sand traps, and tree-lined fairways. The course includes a pro shop, carts, club rentals, and a snack bar, and offers individual or group lessons. Ironwood Golf Course is a championship course that includes four water hazards and four sets of tees ranging from 5,580 to 6,960 yards. Ironwood’s attributes, which include a grass tee driving range, large practice putting greens, a practice bunker, banquet room, pro shop, carts, and individual or group lessons, offer a challenging test of golf to players of all abilities. The Links at Ireland Grove is Bloomington’s newest public golf course and first executive course. Each hole can be played from multiple tees to accommodate every level of golfer, from the novice to the most experienced. Bloomington-Normal’s second Packard designed course, Prairie Vista is one of the most challenging in the Midwest. With 16 water hazards, a unique ‘wave bunker’, numerous sand pots, and unruly wind conditions which change at a moment’s notice, this 18-hole course plays differently every day. The course was designed by golf course architect Robert Bruce Harris and opened for play in 1964. The course features bent grass greens, tees and fairways, continuous cart paths from tee to green, strategically placed bunkers, and a variety of tees for every skill level. We didn’t realize all that Bloomington/Normal, IL had to offer….Shakespeare Festival, the multiple music venues, art galleries, McLean County Museum with Route 66 Visitor’s Guide, all the summer festivals, interesting downtown and uptown areas with so many restaurants just to name a few. We should have stayed more nights. I guess we’ll have to come back for many more stays!